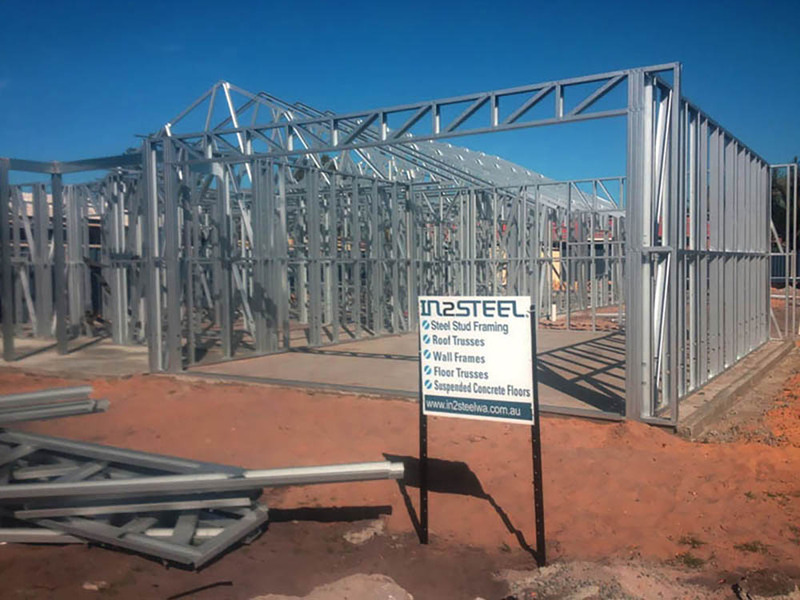 At In2Steel our truss and frame systems incorporate products from recognised names such as BHP and Bluescope Steel. Where possible we recommend and use Bluescope TRUECORE which comes with a 40 year structural warranty backed by Bluescope Steel. With trussed roof construction, only external walls are load bearing, making the design of the floor structure simple and inexpensive. Our wall frames provide homeowners with peace of mind knowing their most valuable asset is protected by the strength of steel. These floor joists are the supporting membrane that runs from wall to wall, wall to beam or beam to beam to support a ceiling, roof or floor. Trueslab floor joists are the supporting membrane that runs from wall to wall, wall to beam or beam to beam to support a concrete slab. Wall Framing made from steel is 100 percent termite and borer proof. Because of this, the frames don’t require additional chemical treatment to protect them from pest attack. Steel is also non-combustible, so its use significantly reduces the amount of flammable material in a home.The inherent strength and durability of steel provides structural integrity in all types of environments and conditions. 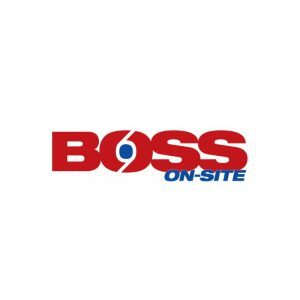 It provides homeowners with the peace of mind of knowing their most valuable asset is protected by the strength of steel. 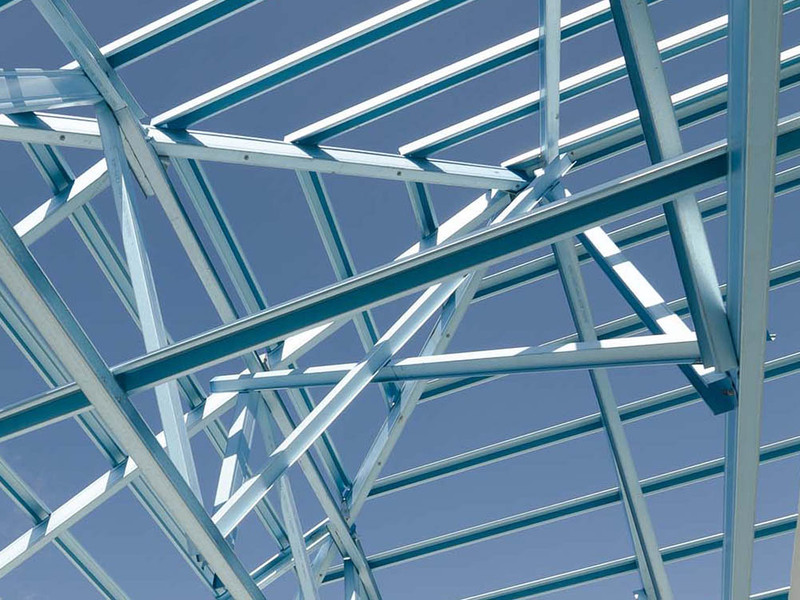 Wall and roof frames made from steel are precision engineered to be dimensionally accurate. They won’t shrink, twist or warp, reducing the likelihood of problems such as cracking cornices, jamming doors, sticking windows or wavy roof lines. 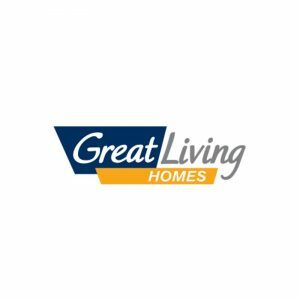 It is design flexible as it lends itself perfectly to innovative designs and non-conventional roof lines, helping to create distinctive, highly individualised homes. 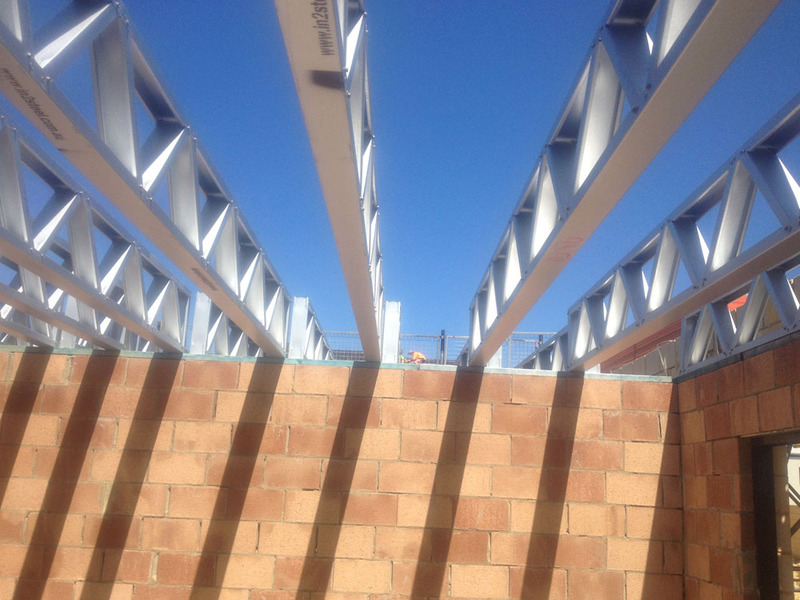 The relative light weight of steel framing combined with its design versatility and flexibility, means a steel framed house can be built with minimal site impact. As steel frames are fabricated off-site to exact specifications, there is minimal cutting and wastage onsite, making for a cleaner building environment and steel is one of the most recycled materials on the planet. Trusses are the most economical construction method for all types of roofs. A truss can be thought of as a beam. 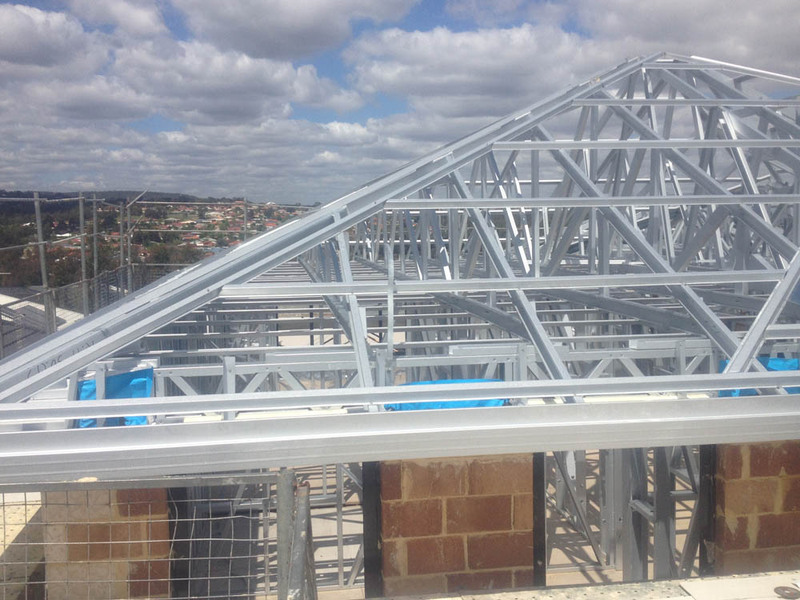 We manufacture a common truss which is most often used for roof construction. Using trusses shortens the construction time as only the perimeter walls need to be designed as load bearing walls when trusses are used. The most beneficial part of trusses is that site labour requirements are reduced as is the impact of wet weather on the construction program. With trussed roof construction, only external walls are load bearing, making the design of floor structure simple and inexpensive. Our trusses are used to make Gable roofs, Hip roofs, Dutch Hip roofs. The Truespan Floor Joists are the supporting membrane that runs from wall to wall, wall to beam or beam to beam to support a ceiling, roof, or floor. 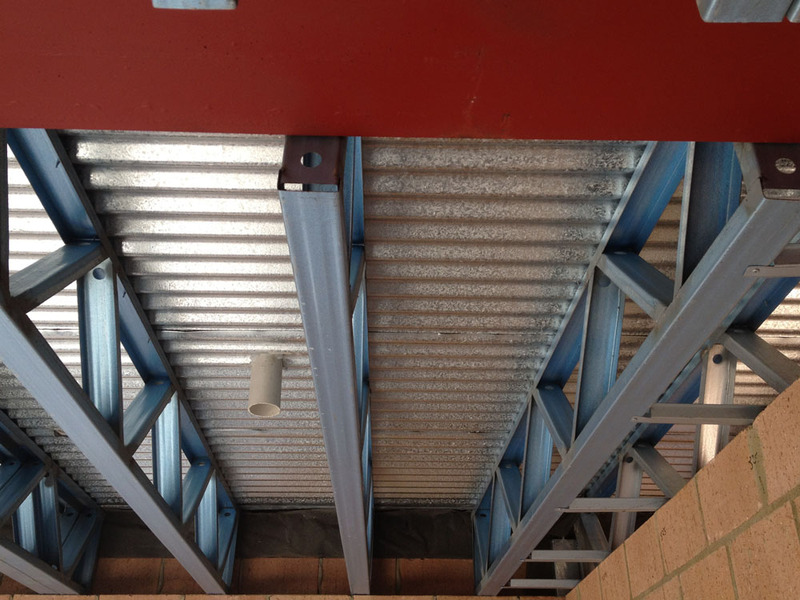 We manufacture truespan Floor Joists made of steel. We manufacture Binding Joists (which describes beams at floor level) and Bridging Joists (which land on a binding joist). These joists can bear tons of weight of the floor made up of timber. The Trueslab Floor Joists are the supporting membrane that runs from wall to wall, wall to beam or beam to beam to support a concrete slab. Trueslab is perfect for both residential and commercial construction. 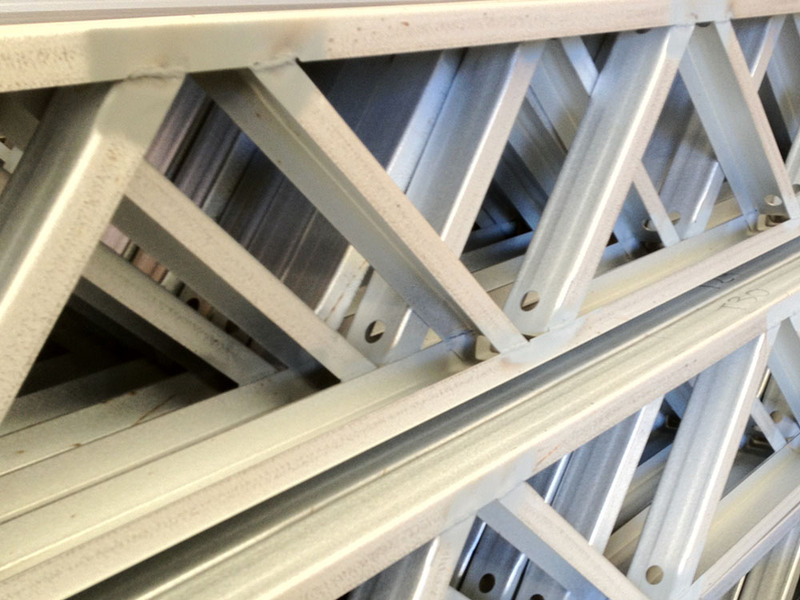 We have been using In2Steel for our wall frames and floor trusses for over 12 months now and are very impressed with the quality and speed of supply. They get the job done at a great price. We can recommend them. 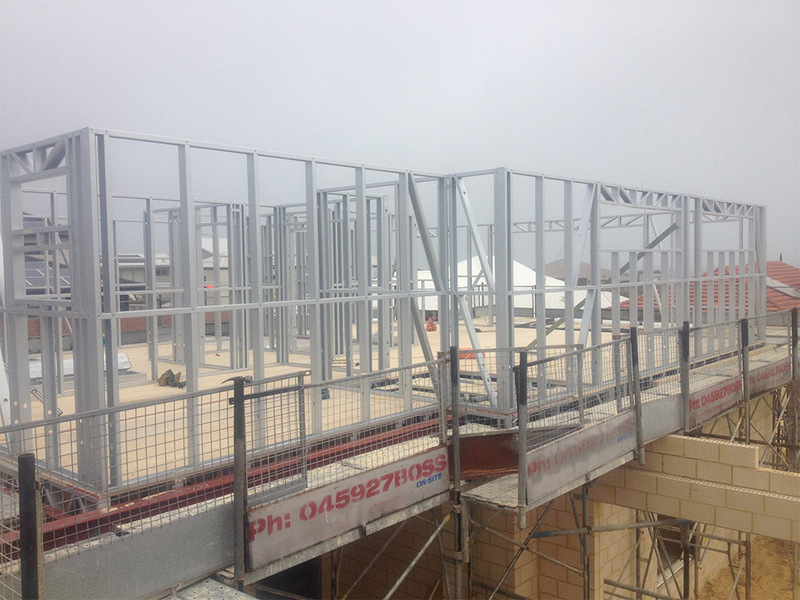 In2Steel have been supplying us with concrete slab floors on steel trusses ( Trueslab ) to our 2 storey homes. Their product is top quality and well made. I would'nt hesitate in recommending them. I have had association with In2Steel since their inception. 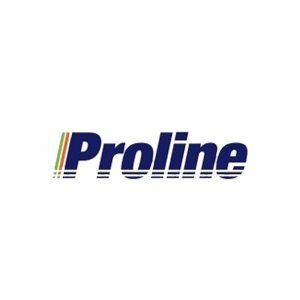 I can confidently say that they provide great service and top quality products. My first house built with In2Steel frames was constructed on my farm in the Wongan Ballidu Shire where the farm manager's house was destroyed in a fire. I had to urgently provide accommodation, before the new cropping season started at the end of April. In2Steels frames are extremely well made and testimony to this is that it only took 2 hours to install the window frames in the first house. My second house was built for my family as a holiday home and once again In2Steel excelled in the service provided to me. 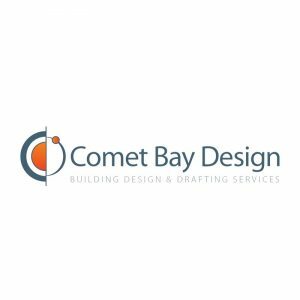 Rob Murray took a close interest in both projects from the start through to final completion, and provided an invaluable backup service throughout. On two occasions he despatched a vehicle at short notice, without charge to transport requirements to me. In my opinion steel frame construction is the best form of construction available because of its low cost and speed of erection. I can highly recommend In2Steel for its excellent service, expertise and professionalism. Hi, I am very happy with my granny flat that In2steel provided me with. It was very well priced and looks just like a brick home. When friends come over they cant believe it is not brick like a house. It's really great to live in with very good insulation and I love it. At In2Steel, we care about your questions and feedback. 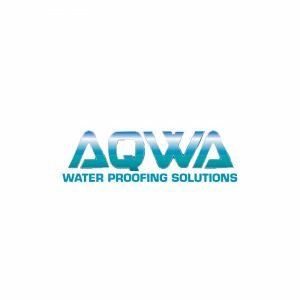 If you would like to know more about our product line or wish to talk with one of our specialist sales or support team, please call or send a message using the nearby contact details.